We love picture book biographies here at Redeemed Reader, and, thankfully, publishers seem to love them, too! Below are several new picture book biographies, some by established authors in the field (such as Demi), some stand-alone titles, and a new picture book biography series. Interestingly, TWO titles are about Marie Curie. Most of these are best for upper elementary/middle grades. 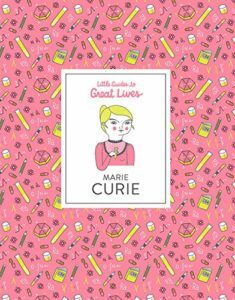 Marie Curie: Little Guides to Great Lives by Isabel Thomas and illustrated by Anke Beckman. Laurence King Publishing, 2018. 64 pages. Part of the brand new series “Little Guides to Great Lives,” this small book (approximately 6×8 inches) contains a wealth of information about Marie Curie and her scientific interests. Quirky, cartoon-esque illustrations expand on both Curie’s life as well as the scientific concepts she was experimenting with, lending an almost graphic-novel style to the book. Curie’s life is told in simple text, beginning with her childhood and continuing until her death. Curie’s disappointments at her frustrated studying during her youth, her many “firsts” for both women and scientists (2 Novel Prizes! The first woman doctorate! And more! ), and her complicated relationships (including a close relationship with a married man after her husband’s death) make this a complex biography for the usual picture book field. A timeline in the back as well as a very helpful glossary round out the book. This title would make a suitable introduction to someone like Curie if an upper elementary student or classroom was studying science or history concepts that included Curie and her work. Most families will find this a fine library checkout instead of needing to own it. Other titles in the series include Leonardo da Vinci, Frida Kahlo, Nelson Mandela, Amelia Earhart, and Charles Darwin, each illustrated by a different illustrator. Best for ages 8-12. 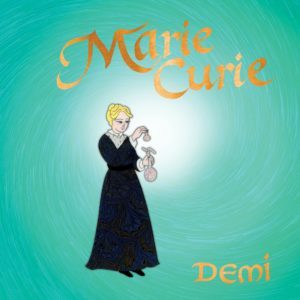 Marie Curie by Demi. Henry Holt and Co., 2018. 40 pages. Demi’s biography is very different from the Little Guides edition above. Much more personal in tone, Demi focuses on Marie more than the scientific details of her work. Demi covers nearly the exact same events, but her watercolor and mixed media illustrations combined with her more human interest approach makes this a much livelier introduction to Curie, particularly for younger students. Marie is always pictured in the same color, making her easy to spot in each illustration. A basic glossary and timeline along with a short list of further resources is provided in the end matter. Best for ages 6-10. Confucius: Great Teacher of China by Demi. Lee & Low, 2018. 48 pages. Demi’s artistic style lends itself so well to stories set in Asia. Confucius’s story is recounted in paragraphs (~1 per page) accompanied by illustrations set off in gold borders with judicious use of white space–much like a beautiful Chinese hanging banner. 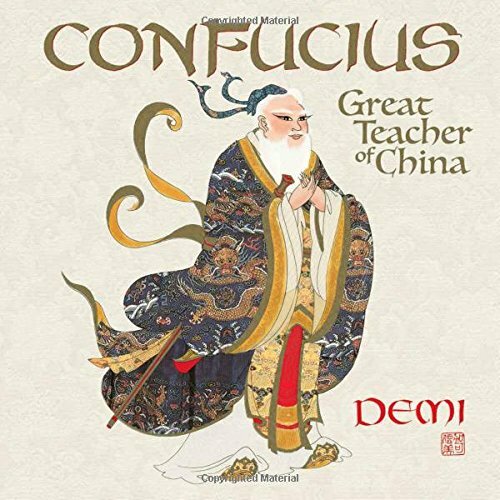 The text is straightforward and includes multiple quotations from the Analects of Confucius. Back matter includes sources. While a timeline isn’t included in the back matter, dates are sprinkled throughout the text. This is a lovely introduction to such an important ancient Chinese figure. Best for ages 8-12. 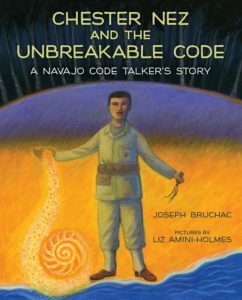 Chester Nez and the Unbreakable Code: A Navajo Code Talker’s Story by Joseph Bruchac and illustrated by Liz Amini-Holmes. Albert Whitman, 2018. 32 pages. The story of the Navajo Code Talkers is such a fascinating one–and one with delicate complexity as the U.S. government suddenly wanted one of its Indian nations to act, well, as themselves. The Indian schools were fully established by WWII, and many Native Americans had been sent off to be educated as white children. Bruchac’s picture book biography of Chester Nez conveys this tension clearly, and he also gives great attention to Chester Nez’s following of the Navajo Way in terms of religion as well as language. An interesting introduction to the code talkers and to the Navajo way of life, this biography would work best for upper elementary students. End matter includes an author’s note, a timeline, and a portion of the code. Best for ages 8-12. 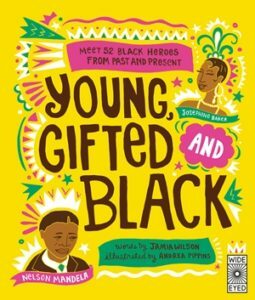 Young, Gifted and Black: Meet 52 Black Heroes from Past and Present by Jamia Wilson and illustrated by Andrea Pippins. Wide Eyed Editions, 2018. 64 pages. A clipped, journalistic style accompanied by exuberant, colorful illustrations introduce 52 black figures in rapid succession. While none of the individual biographies is a complete introduction to any one person, the stellar variety of people who made their mark against great odds serves as a great motivation for young readers to pursue their own dreams. If that sounds somewhat humanistic, the tone of the book is even more so. Little to no reference to anyone’s faith (especially if that faith was Protestant Christianity, as opposed to Catholicism or Islam) coupled with pithy “Follow your dreams” quotations make this a rousing call for humans to succeed by their own human effort. That’s not enough to skip this book, however, but it is a reminder to seek out more thoughtful, nuanced biographies for the characters that pique your child’s interest. The sheer diversity of countries and vocations make this a fun book to flip through. Everyone, whether as famous and well known as Barack Obama or Martin Luther King, Jr., or as unfamiliar (to Americans) as Chimamanda Ngozi Adichie, gets the same treatment: an opening sentence explaining his or her claim to fame followed by several paragraphs briefly outlining the person’s childhood/education and salient achievements. At least one quotation from each person is also included. Bonus: the “index” in the back is a photographic one–a very nice touch. Best for ages 8-12.